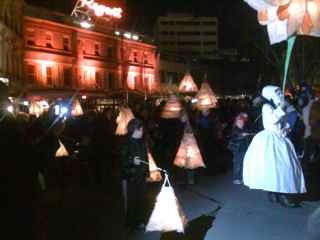 The Dunedin Winter Solstice Carnival was held in the Octagon in the centre of Dunedin tonight. 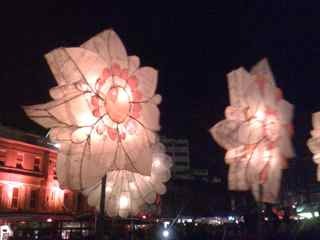 Its an annual pagan celebration of the middle of winter and the shortest day and many hundreds of local people of all ages build special lanterns and parade in an anticlockwise trail around the octagon. 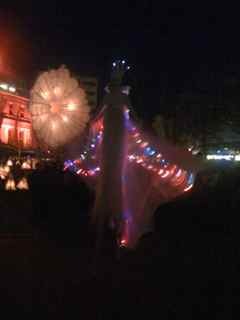 Drumming groups, the Festival Queen, the medieval society and lots of local people young and old take part. We always enjoy this and mulled wine and a gathering before the parade is part of our tradition.